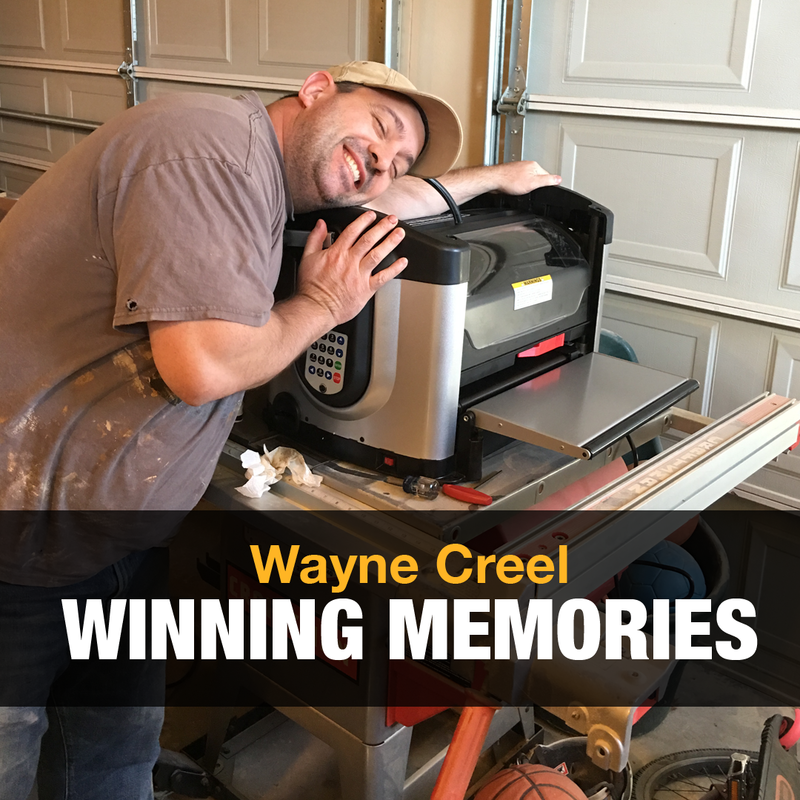 A little over ten years, ago, Wayne Creel was no woodworker and he was no Cub Scout Master. Now, he is both. 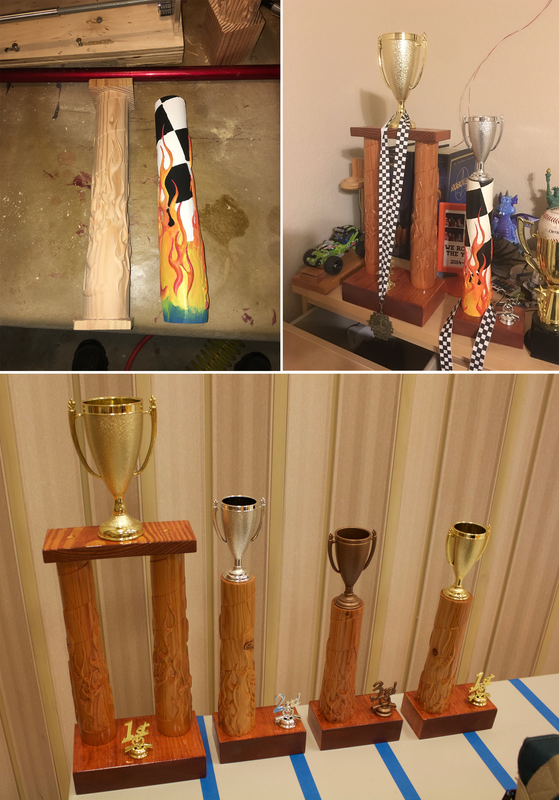 After volunteering through his church as a mentor to a young man who lost his father, Wayne was introduced to Pinewood Derby building and racing, as the two of them competed and won first place on their first attempt. Thrilled with the victory, he was less thrilled with the trophy, a Hot Wheels car screwed into a 2×4 and spray painted gold. A man and his son… and his robot carving machine. Wayne enjoyed the experience and, although his own two boys were just 5 and 2 at the time, he continued to participate in the competition becoming more involved each year. The next year, he purchased trophies for the winners. Over the next few years, he kept refining the race, purchasing an electronic clock and slow motion camera for the finish line, until he finally found himself running the event. Sure would be neat to see how he makes those trophies. How does this tie into the CarveWright? 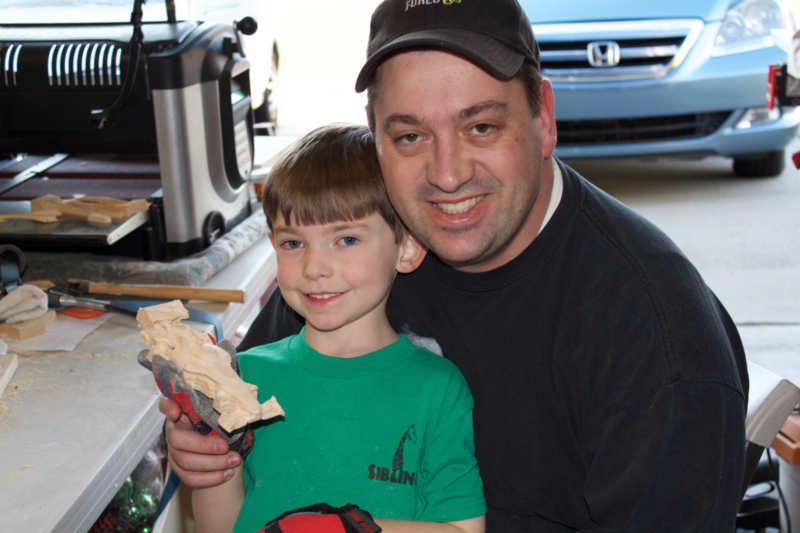 Well, in 2010, just a couple of years after starting the Pinewood Derby hobby, Wayne decided that he wanted to use a CNC to build his derby cars, so he purchased “Jarvis”, a used machine that he upgraded. After 8 years and several hundred hours of carvings, “he still works great”. 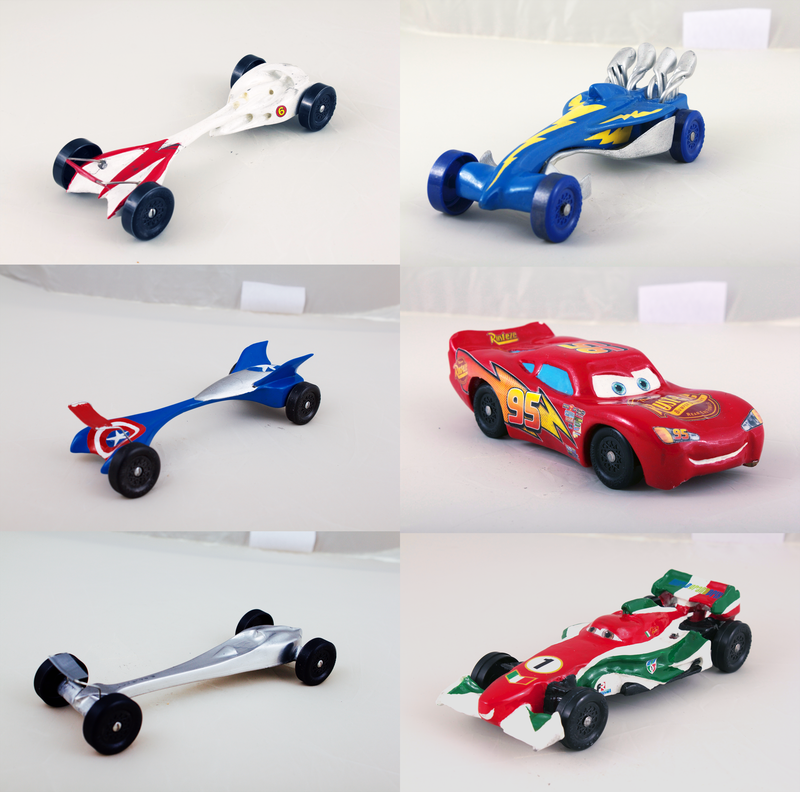 After carving several derby cars (about a dozen each year) and then over 1,500 Cub Scout Arrow of Light awards sold through his etsy store, Wayne discovered the Rotary Jig Accessory and purchased “HAL”, a new 2016 C-model with jig and dust collection. He doesn’t just carve them. He make them awesome. Now that his own boys are old enough to be scouts, Wayne is in his third year as their Cubmaster in Prosper, TX and their trophies are definitely “thrilling”. Everyone knows to go to Wayne, if they have some “crazy idea” of something to carve. 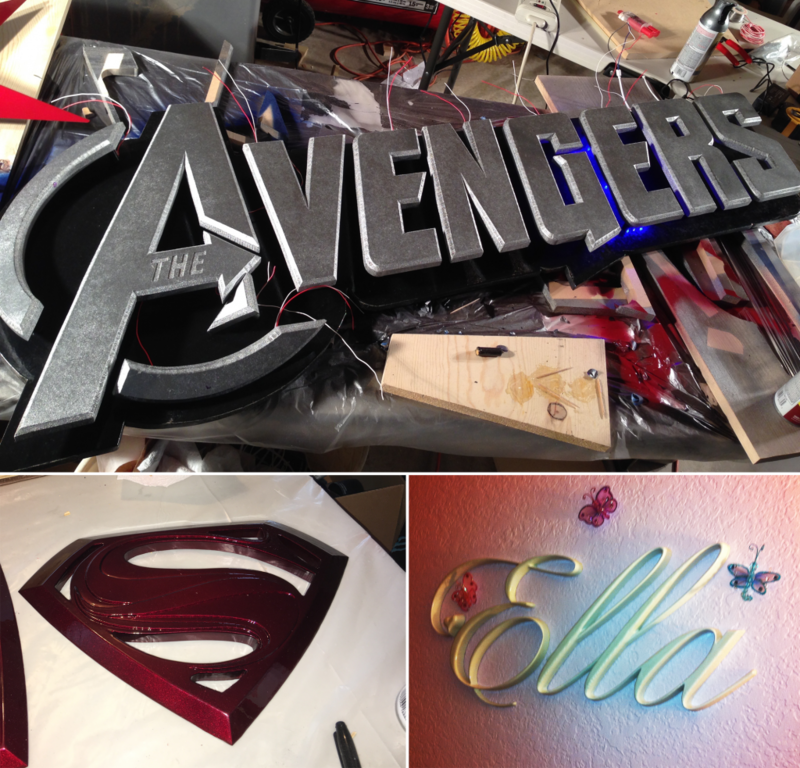 He has carved several special items for his kids, including Avenger and Superman emblems painted to look like metal for his boys, and something a little softer for his daughter. Wayne’s kids have pretty cool rooms! His favorite project is the Neoclassical Boxes from the Pattern Depot, which he customizes with his own pattern selection. 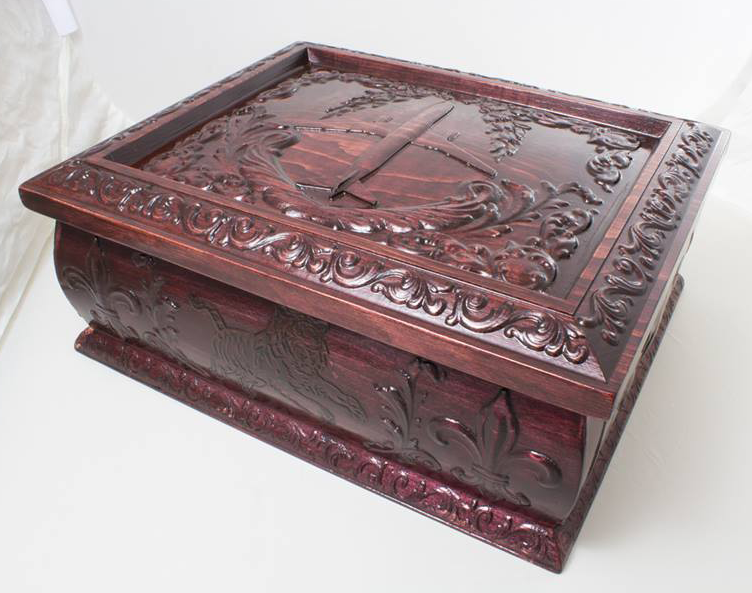 Neoclassical Keepsake Box customized by Wayne. It is apparent that with both his CarveWright and passion for Scouting, he has, also, helped create some pretty winning memories. This entry was published on April 12, 2018 / Joe Lovchik. Posted in Customer Stories. Bookmark the permalink. Excellent work, Wayne! Great personal story, too! !